This limited warranty represents the exclusive remedy for warranty failure and the total liability of A and A Auto Salvage for any part it warrants. A and A Auto Salvage MAKES NO OTHER WARRANTIES EXPRESSED OR IMPLIED INCLUDING THE WARRANTIES OF MERCHANTABILITY AND FITNESS FOR A PARTICULAR PURPOSE. Some states do not allow disclaimers of implied warranties. Therefore all implied warranties that may apply to your part are limited to the duration of this written warranty. Some states also do not allow limitations on how long an implied warranty lasts so the above information may not apply to you. This warranty gives you specific rights and you may have other rights which vary from state to state. 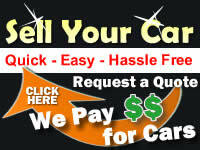 A and A Auto Salvage does not authorize any person to vary the terms, conditions or exclusions of this warranty. If any provision of the warranty should become invalid or unenforceable because of any laws, the remaining terms and provisions of the warranty shall remain in full force and effect. A and A Auto Salvage .